The Controlled Environment Testing Association’s National Board of Testing (CNBT) is a certification program for professionals who certify sterile compounding facilities. The Registered Certification Professional – Sterile Compounding Facilities (RCP-SCF) certification program will ensure that the certificate holder possess the fundamental knowledge required to certify sterile compounding facilities per industry guidelines. For years the profession has requested CETA to develop a certification for professionals working in our field. 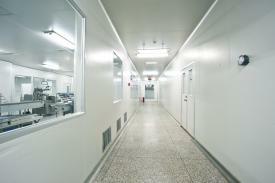 Specifically a certification that will be an objective representation of an individual's fundamental knowledge and skills in the area of cleanroom certification. 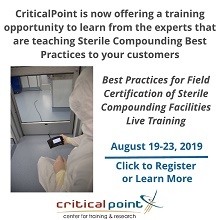 Both the written multiple choice and written practical examinations for the Registered Certification Professional in Sterile Compounding Facilities (RCP-SCF) credential will be administered twice a year. The examination will test the certifier's competency in sterile compounding facility certification for compliance to listed applicable standard and references.